I’m sure you’ve had those times when you wonder if it’s all worth it. Our ministry focus means that we get plenty of opposition—and, heart-wrenchingly, not all of it is from outside the church. There are times when the constant barrage takes its toll. But I was encouraged during a quiet time about just how much the ministry is making inroads. Fourteen years ago, when I first became involved with CMI, I can remember that it was a case of ‘Creation … what’s that?’ Creation was hardly ever mentioned in the secular media. But now, virtually every day we are sent a newspaper clipping or magazine article from somewhere in the world, where the topic of creation vs evolution is mentioned. In fact, the intense opposition demonstrates a very positive phenomenon—creation is now on the table for discussion—and the enemy is worried! Simply, if there was no response, then we would not be making a difference. As individuals, you can take heart from this, too, in using creation in your personal outreach. People rarely come into the kingdom on the first occasion you speak to them. You are likely to encounter more questions and maybe an antagonistic response. But is this so bad? Many people tell me that their normal witnessing methods provoke no discussion at all! For example, who can forget Scientific American’s (SciAm) feature article called ‘15 Answers to Creationist Nonsense’? Why did they expend so much energy on something that they themselves called ‘nonsense’? In response, our own Dr Jonathan Sarfati was able to demolish the poorly prepared SciAm article by posting a refutation on our website within a couple of days. In a matter of months, SciAm had a credibility problem, and the talk on the skeptics’ own websites was that SciAm had been stung where it hurt the most—in sales. 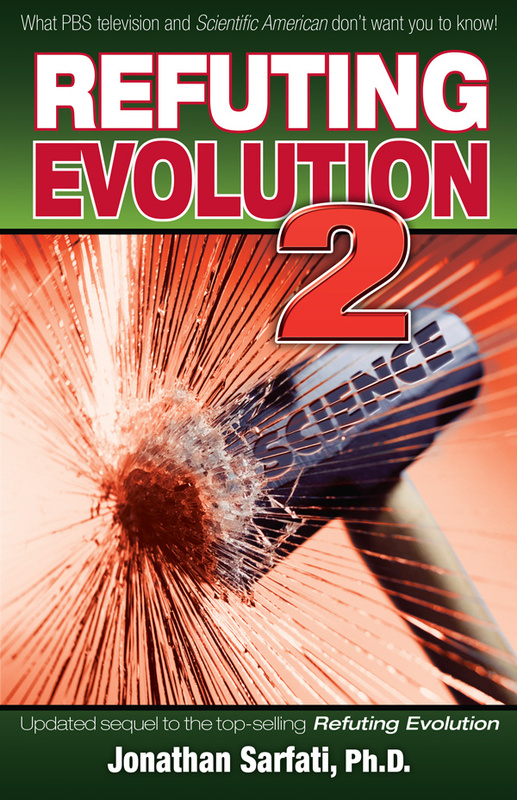 Jonathan’s devastating critique of SciAm’s article became the basis of the best-selling book Refuting Evolution 2 (see online chapters). In a combative media stunt designed to take the focus off the scientific issues, the National Center for Science Education (NCSE), which was founded specifically to undermine the creation movement, launched Project Steve. The title is apparently a play on Project 3:15—which contains Refuting Evolution 2. To honour the late Stephen Jay Gould, America’s former leading evolutionist, the NCSE compiled a list of over 200 evolutionist scientists who happen to be named ‘Steve’. The NCSE says the project ‘is a tongue-in-cheek parody of a longstanding creationist tradition of amassing lists of “scientists who doubt evolution” or “scientists who dissent from Darwinism”’. Refuting Evolution 2 also contains a devastating episode-by-episode refutation of the PBS TV series Evolution (which has been aired several times). This multi-million-dollar production trundled out all of the best evidence that evolutionists could muster, and sadly, has influenced many. So we thank the Lord for reminding us of the ground gained so far, and the privilege to be involved in His work. No-one said it would be easy, and we are reminded of 2 Chronicles 20:15, ‘This is what the LORD says to you: “Do not be afraid or discouraged because of this vast army. For the battle is not yours, but God’s”’.